The Iavarone Law Firm is a commercial litigation firm that specializes in cases involving securities, options, and commodity futures related litigation. The firm represents public customers and individual brokers as well as a number of broker/dealers, futures commission merchants, registered investment advisors, and introducing brokers. This broad range of representation provides The Iavarone Law Firm with a distinct prospective that results in a level of evaluation, preparing, and prosecuting cases that firms who “work one side of the street” lack. Since leaving the public sphere, Nick has been responsible for the filing of over 500 cases representing public customers of commodity and securities firms and has been responsible for obtaining, through verdicts, arbitration awards, and settlements totaling over $50 million for cases involving unauthorized trading, unsuitability, churning, misrepresentation, negligence, and breach of fiduciary duty. The cases have been filed in various state courts, federal district court, Financial Industry Regulatory Authority (formerly the National Association of Security Dealers), the Commodity Futures Trading Commission, the National Futures Association, various securities and commodity exchanges as well the American Arbitration Association. 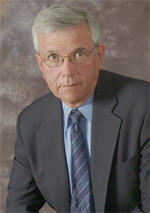 Nick has served as an arbitrator in FINRA disputes and has lectured on compliance issues. Besides representing brokerage firms in all aspects of their business, Nick also represents individual brokers in claims brought by customers, contractual disputes with former employers, defamation cases involving the filing of U-5s, discrimination cases, and instances where brokers have not received the compensation promised to them. The Iavarone Law Firm specializes in representing brokers who are transitioning between firms and are faced with non-solicitation agreements and forgivable loans. Read About The Transition Of One Of Nick's Clients From UBS here.